Are you on the lookout for the group of builders that can offer the most comprehensive loft conversions Parkstone has ever seen at a price that doesn’t break the bank? If that accurately describes your current situation, then we have good news – you can stop searching now that you have discovered 42 Construction. Our accredited team will be able to offer you a fully customised solution at a fantastic price – get in touch with us at your earliest convenience on 07891 597 416 or 07768 286 991 to book. At 42 Construction, we have more than a decade of experience in creating high quality loft conversions in Parkstone. Our team will know exactly what to consider and look out for prior to commencing with any work to make sure your available space is optimised in a highly efficient manner. Here at 42 Construction, we believe the source of our success has been our highly personalised approach to each and every project. 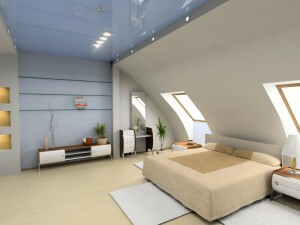 All of our Parkstone loft conversions are tailored specifically to the client’s tastes, requirements, needs and budget. You can rest assured knowing that we always deliver on time. Regardless of whether you have already benefitted from our Parkstone loft conversions or you are still looking for your ideal building company, we would highly encourage you to browse through the rest of our website for even more information about our company. Please take some time to browse through our image gallery to see some high resolution pictures of our team hard at work doing what they do best – offering the finest loft conversions Parkstone can provide. Don’t forget to also follow our regularly updated blog to keep up to date with everything 42 Construction related including new information about our loft conversions in Parkstone and other relevant industry news. If you are now ready to start benefitting from the wealth of industry knowledge and hands on experience that the 42 Construction team possesses, then there are several fast and efficient ways that you can contact us to book our loft conversions Parkstone service. You can either call us on 07891 597 416 or 07768 286 991, fill out our simple enquiry form or e-mail us at 42constructionltd@googlemail.com. We look forward to hearing from you very soon.